Mortgage points are charges paid in order to obtain a mortgage for a home. Every point is a fee that is based on one percent of the entire loan amount. The discount points and the origination points are the two types of mortgage points. Keep in mind that lenders vary in charging for these two types of points. Discount points are paid towards the lender during closing to lower the interest of the mortgage rate. The points are the same as a pre-paid interest of a loan that a borrower will take out for a new home. Each point is equal to one percent of the total amount of loan. The total points that a borrower can choose depends on how much he or she wants to lower the rate of interest. Either the buyer or the seller pays for the discount points or they could split the fee in half. Origination points are used to pay for the expenses of obtaining a loan. These points are less popular compared to discount points because they do not offer the borrower valuable benefits and they are not tax deductible. It would be better for a borrower to look for a loan that does not require getting these points. Remember that not all loans require points paid. Some mortgages do not require points while others do. The borrower has to decide whether he or she wants to pay the discount points and a lender will determine if origination points are needed so the borrower can obtain a loan. Several factors will help the lender decide whether to charge points. A borrower’s credit score, which reflects his or her credit worthiness, is a major factor in determining if points are needed. The credit score and other factors reveal the riskiness of a loan for the bank to establish not only if points are required but how many points are assessed. If the lender determines that points are required, these should be properly disclosed to the borrower. In general, costs and points explanation is included in the good faith estimate that the lender provides to the borrower. The borrower will then determine how much is the loan amount and the cost of the points and choose a lender that provides the best deal. Regardless if paying points make sense depends greatly on how long you intend to keep the loan. A mortgage calculator can help you decide. When using a mortgage calculator, you have to calculate how much the monthly payment at the rate of interest is charged if you are not going to pay mortgage points. Next is to calculate the amount of monthly payment at the lower rate if you will pay for mortgage points. Deduct the lower payment from the higher payment to determine the amount saved each month. Divide the amount charged for the points during closing with the amount saved each month. The result is the number of months you have to keep the loan in order to break even on paying points. Author Resource:- Consider desert estates in Real Estate for Sale in Desert Estates Scottsdale AZ, MLS Real Estate in Desert Highlands Scottsdale AZ and Homes for Sale in Desert Mountain Scottsdale AZ. Your A New Agent in Nutley NJ & You Want To Pick A Brokerage, Heres Some Advice. Are you a new real estate agent in Nutley, Belleville or Clifton NJ? There are some things you should know before you decide which office to hang your licences at. Too many new real estate agents think a real estate broker choice is primarily based on commission splits. It’s not all about the split, as the final in-your-pocket income has to do with many variable services provided by brokers. It’s not all about the split! New agents shouldn’t focus too much on the commission split aspect when choosing a real estate broker. There are so many services that are available from brokers and they may be things that you really need to get your start in the business. The end income result can be more in your pocket with a lower split depending on leads provided and service fees. Determine your expenses so you’ll know what you need for income. Before you can accurately compare the service offerings and commission splits of two real estate brokerages, you first should know your income needs based on personal expenses and projected new real estate agent business expenses. Using the link to the free spreadsheet, get an idea of what you’ll need to survive and move your business forward. Then you have the knowledge to make better brokerage comparisons. Using the income funnel approach and the spreadsheet in the link, you can ask real estate brokers how you’ll receive leads and prospects. What are their projections for floor time leads, phone leads on up-time, web site leads, etc? Use these estimates to fill in your funnel sheet and see what income will come out the bottom. As you’ll see, a 50/50 split in one place might be better than a 60/40 split in another based on the prospect leads you’ll be getting. Mentoring and training mean more to some than to others. Most new agents definitely need training in contracts, negotiating and procedures that are predominant in their market area. However, when it comes to sales/marketing training, or motivational things, your needs can be quite different than those of the next person. Most Important, can you BRAND YOURSELF & Are you competing with the Owner/Broker for Listings? Some offices will not allow you to Brand or build your book of business (which is very important) you will always be a “Buyers Agent” and not be able to generate your own leads and list homes, that is one model. Make sure your broker has no confilct of interest with the marketing area your office is in. Do your research, Ask around town, Interview several companies and brokers before you start your new career. 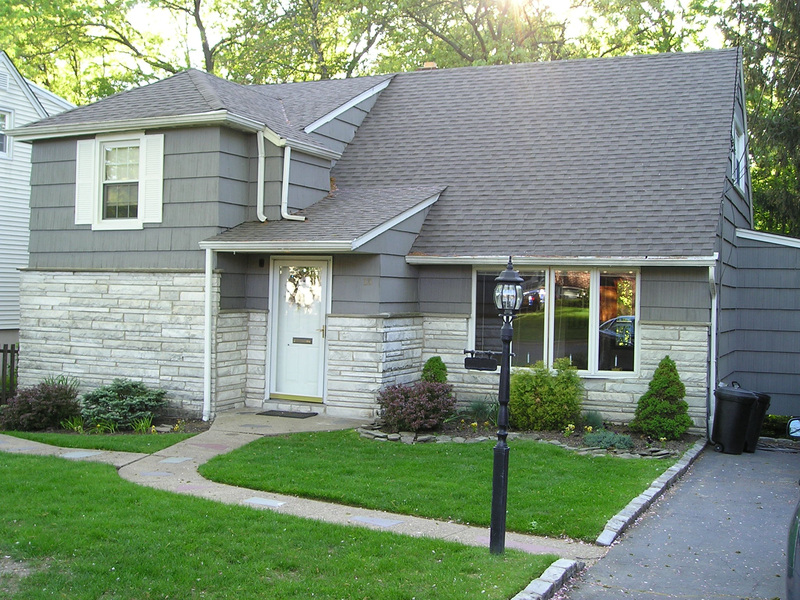 Home ownership in Nutley can be one of the most meaningful aspects of any person’s life. With a house and plot of land to call home, a family can feel secure, safe and comfortable. After a long day at work, a man or woman can relax in the solitude and quietness of their very own home. While those are all great perks of home ownership, when it comes time to pursue a loan of any kind, home ownership can show off one of its most valuable traits. Applying for a loan is much like applying for a job. After looking through the various types of positions available, you submit a resume and hope to get the call to come in for an interview. Your credit report functions much the same for a loan application as a resume does for a job application. A lender can see your financial history, current condition and forecast from there a level of risk. Just as a great reference can make your resume sparkle in the eyes of a potential employer, so too can home ownership make your financial history jump off the page for a potential lender. Home ownership implies a steady stream of income, financial stability, the intention to plant roots and most importantly, the ability to repay a sizable financial commitment. Naturally, missed mortgage payments can undo all of that benefit, so only a strong mortgage history will help you. When a home owner investigates taking out a loan, most will go straight for home equity loans that borrow against the equity built up in the home, and rightfully so. A home equity loan can be a great financial solution for those that need additional funds and provides a host of benefits, all of which are accessible because of the benefits of home ownership. Home equity loans, because they have the backing of a home, are available at lower interest rates and in greater amounts than unsecured loans that have no backing. Obviously, if you do not own a home, you are not eligible for a home equity loan, something that can be a vital financial tool used to keep a family afloat or pursue a new business or other dream. Of course, not everyone is thrilled with putting their home in jeopardy when pursuing a loan and unsecured loans fill that void. Contrary as it may seem, home ownership can be a great benefit in that circumstance as well. While you may not see the low interest rates and favorable terms possible through a home equity loan, the rates and terms for an unsecured loan can be improved greatly through home ownership. As a lender examines a particular person’s ability to repay an unsecured loan, a variety of traits are taken into account. For someone pursuing an unsecured loan without the benefit of home ownership, rates will be higher, payments will be more expensive and the loan term may be shorter. These can be significant barriers and for many people, they can be a complete roadblock to a needed loan. So, as you go through the process of searching for a home in Nutley NJ, it is of course true that you will be providing security for yourself and a foundation for your future. However, you will also be gaining a significant financial advantage should the need arise to take out a personal loan of any kind. These situations are often sudden and surprising, so having the kind of safety net home ownership can provide is a significant benefit and one that should not be neglected through your pursuit of a home or even during the choice to even purchase a home or not. This Home Is A One Of A Kind! Backed To Booth Park PRIVACY ABOUNDS! 3 Bedrooms, 2 Baths, Living Room, Dining Room, Private Yard, Deck So much more…Call 973-846-0065 For more info. The Best Agent in Nutley? How To Find Out If They Are Truly The Best Agent in Town. Finding The Best Real Estate Agent in Nutley? Here Are Some Simple Steps To See If Your Really Dealing With A Top Agent? 1) Meet agents out in their working environment, not in their offices. Good agents spend very little time at their desks. 2)Make sure the agent has closed many properties and has worked a few years at least. The average real estate agent closes only 1 or 2 houses a year. More closings mean more experience. 3)A great place to meet agents is at open houses. Don’t worry that you are not interested in that particular property. The agent knows that open houses rarely produce a buyer for that home and use the open house as a tool to find buyers. 5)Look for signs that the agent is busy. A hard-working, go-getter of an agent is good. Be careful, sometimes they are too busy. A real estate agent can only effectively work with about a half-dozen buyers and a dozen sellers at any given time to properly give the time needed to a buyer. If they pass you to an “assistant”, move to another agent that will give their time to you. 6)See how the agent’s MLS listings come up in searches. When listing in todays market, all listings from small to big should have professional photos – this is the first sign of a professional real estate agent who understands todays market. 7)Check the references that an agent should be able to provide you. Ask the other real estate agents you interview if they know the other agent and if they respect them as a real estate agent. If they start bad mouting another agent move on. 8)Ask “Can you recommend service providers who can assist me in obtaining a mortgage, making repairs on my home, and other things I need done?” Keep in mind here that a real estate agent should generally recommend more than one provider and shouldn’t receive any compensation (ethical issues tend to arise when this happens). 10)Ask “How will you keep me informed about the progress of my transaction? How frequently?” Using what media? Again, this is not a question with a correct answer, but that one reflects your desires. 11) Last but not least find out what your agent is doing from Friday to Sunday, if they are not working two of those days I would look for another agent. For many buyers and sellers, a real estate agent is all that is needed to get through the buying or selling real estate process. A real estate agent can provide valuable advice on the current state of the market, the best way to stage your home for sale or good areas to look at when investigating a home purchase. What a real estate agent cannot do, however, is provide legal advice and in some situations, such advice is critical to the real estate transaction process. A real estate attorney can be a great way to not only get that valuable legal advice but to protect yourself every step along the way as well. A real estate purchase or sale is a complicated transaction impacted by countless laws and regulations. With a piece of merchandise so expensive changing hands, issues are bound to crop up and sometimes a real estate attorney is the best way to deal with those issues. So, you’ve convinced yourself that you need a real estate attorney and value the piece of mind a real estate attorney brings enough to spend the money to retain one. The question now becomes where to find one and rather than simply pick the real estate attorney with the nicest ad in the yellow pages, there are some better sources you can use to select the real estate attorney that is right for you. While that tenet may be universally true for sales, it is also true for the search of a solid real estate attorney. Randomly picking a real estate attorney can lead to communication problems later fostered by the incompatibility between you and your real estate attorney. Instead, it can be more beneficial to seek out recommendations from friends and other acquaintances that have gone through a home purchase or sale. However, many people simply don’t know a friend that has gone through the process of hiring a real estate attorney and thus have no one to ask. For those people, the Bar Association in your area can be a great resource for generating a list of potential real estate attorneys that have a positive standing with the Bar. Additionally, there a number of different directories that keep contact information for competent attorneys and many have subsections designed specifically for real estate attorneys. The best way to land a great real estate attorney is to be exhaustive in your search process. While few of us have time to interview 10 or 15 different attorneys, we can all probably spare the time to interview a handful of potential candidates to ensure that the fit is right between attorney and client. Many attorneys will charge for personal meetings, so asking the right questions on the phone may have to do in most cases. Be sure to get all of the financial requirements up front from a prospective real estate attorney. Many will also have particular areas of expertise, so ask about them to make sure that the expertise relates to your particular situation. Also, asking some general questions about the process each real estate attorney usually goes through on a property can help you learn about the process while still filtering out attorneys. While not every real estate transaction requires a real estate attorney, the added expense of hiring one can make sense for customers that want some extra security for the transaction or that envision complications along the way. Your real estate agent is perhaps your primary resource as you pursue a home sale or purchase, but a real estate attorney can be a sound, legal, additional resource to deliver the best possible real estate selling or purchasing experience. As with anything else in life, becoming proactive in your pursuit of a particular goal will ultimately pay off. Everyone has heard the stories of men and women that took the reigns of their career and were able to rise through the ranks of their profession to a position of power. We’ve also all have the friend who hates his or her job, complains constantly, but does nothing to change the situation. Don’t be that person. Getting proactive in your attempt to sell your home in Nutley NJ is perhaps the most rewarding, effective step you can take. While many sellers are more than happy to let their real estate agent take over and supply periodic updates on the situation, more and more, sellers are getting actively involved in the process to push a home sale along better than a real estate agent alone. Too many sellers in Nutley these days are relying on the home inspection as part of the real estate process to tell them what needs to be fixed with a property and what the buyer might take an issue with. Don’t wait for an inspector to go through your home and point out problems after you’ve already accepted an offer. You run the risk of being surprised and having to negotiate a potential problem with an unhappy prospective buyer. Instead, take it upon yourself to fix what needs to be fixed and perhaps commission your own appraisal. Getting your furnace or roof certified can speak volumes to a buyer that will appreciate not having to wait for an inspection to be sure that they are buying a quality home. If your personal inspection does turn something up, fix it and trumpet your new furnace or roof in your marketing materials for the home. You can even go so far as to get an estimate for a repair that might be necessary and supply it as part of the materials you give to an interested buyer. Often times, that buyer will appreciate the fact that you have disclosed the true condition of the property and are willing to solve the problem over the course of a real estate negotiation. Getting this kind of information out in the open will only foster a stronger relationship between buyer and seller. Your teacher may have told you that the best information you can get from a test you’ve taken is an understanding of the questions you got wrong. The same is true for showing a home, an exercise in dressing up your home in an attempt to give an interested buyer in the best possible view of your real estate in Nutley. Not every showing leads to a contract offer, obviously, and understanding what each one did not might help you better market your property. It can be very easy to chalk up a fruitless showing to a less-than-committed buyer, but going the extra mile and getting information on why the home wasn’t up to snuff will help you later. You can contact the real estate agent of the interested buyer directly to get your reason. Don’t be pushy and certainly don’t be rude. Simply state that you’d like to know if there are steps you can take to make the home more inviting to the next interested buyer that takes a showing. These steps can easily be taken in conjunction with a real estate agent that will likely appreciate the role you want to take in the selling process. Selling your home is often a team effort between you and your realtor, so bring a proactive nature to that team can help sell your home faster. Be that proactive person instead of the sit-back-and-take-it seller that is so common. The Township of Nutley is located in the Northern quadrant of Essex County and enjoys a unique picturesque suburban existence in close proximity to New York City. It is conveniently located near the Garden State Parkway, New Jersey Turnpike, Route 3 and Route 21. Even with a population of approximately 27,000, this bedroom community enjoys a small town ambience throughout its quiet, well-maintained tree lined streets. The parks in Nutley are considered the “crown jewel” of the Essex County park systems. The Township prides itself in maintaining a commendable level of conservation while safeguarding this pristine natural resource from impending and unnecessary sprawl. The latest surveys list the Township as maintaining over 10,000 trees and over 100 acres of recreational land. No home in Nutley is more than one half mile from a park or playground. Since the arrival of Robert Treat in 1666, the character of the men and women who have lived in Nutley in the past 300 plus years has influenced our town. Our forefathers quarried the brownstone from the mines along the Passaic River to provide the raw materials for expansion of our great cities, and they toiled in the mills that lay along the Third River to manufacture the basic necessities of life. Living in the Enclosure area, they created the paintings and authored the writings that contributed to our appreciation of the arts, and in more recent times they have established homes and schools, and created neighborhoods that give Nutley the characteristics of a small town in a metropolitan environment. This spirit of volunteerism has been demonstrated by many of Nutley’s distinguished residents. In 1894, Annie Oakley and Henry Cuyler Bunner, a renowned author and editor of the famous Puck magazine, spearheaded a community effort to benefit the American Red Cross with a performance of the Nutley Amateur Circus (See 1894 The Illustrated American magazine article) . Held at Eaton Stone Circus headquarters on Kingsland Road, prominent residents volunteered as performers and roustabouts. Later, in 1917, Col. H. G. Prout, editor of the Railroad Gazette, became the first president of the Nutley Red Cross when it became affiliated with the American Red Cross. In the early 1900’s, John Bouvier, a successful New York trial lawyer, took an active role in Nutley organizations by serving as president of the Nutley Board of Education, president of the Nutley Field Club, trustee of St. Mary’s RC Church, and others. This characteristic of volunteerism was reflected in the life of his granddaughter, Jacqueline Bouvier Kennedy, and is similarly shown today in the lives of many people living here. Whether those families have lived in Nutley for generations or for a few years, the civic involvement here in Nutley is infectious. Nutley derived its name from the large estate of the Satterthwaite family, established in 1844, which stretched along the banks of the Passaic River. In 1902, the quaint town of Franklin, New Jersey, once the northeast corner of Newark, changed its name to Nutley when a growth in population prompted a change in the form of government from Township to Mayor/Council. Prior to this event, the geographical area now called Nutley had a colorful 236 years of recorded history. Since no photographs and little actual recorded data that describe life in Nutley in its earliest days are available, our knowledge dating back to 1666 must be inferred from other resources. These include paintings, old maps, wills, estate inventories, and most important, contemporary photographs of historic buildings in Nutley that survived the ages and today stand as a living and vibrant part of Nutley’s heritage. The fact that so many historic buildings exist bodes well for the people of Nutley and those in local government positions, for it is the Township of Nutley that has acquired ownership of three historic sites: Kingsland Manor, Van Riper House, Church Street School ( Nutley Museum). In addition to these the Vreeland Homestead and 12 homes within the Enclosure Historic District are listed on the State and National Register of Historic Places and are maintained by local homeowners. The Lenni Lenape Indian tribe first inhabited the wilderness that greeted Robert Treat and a group of Puritans form Connecticut in 1666. They deeded to the Puritans a land filled with wildlife: pristine rivers and lakes stocked with abundant fish. As the Village of Newark developed, its inhabitants did not wander far from their settlement and the town grew slowly, with few men, known as planters, acquiring land as far north as the Third River where Nutley is located today. However, at this same time, the Dutch began to settle along the Passaic River just north of the Third River at Acquackanonck (now Passaic) and established farms, saw mills and gristmills. The earliest recorded presence of a Dutch planter in the Nutley area was recorded in the minutes of the Newark town meeting held March 5, 1693, which admitted Bastian Van Giesen. The Van Giesen home, which still stands today on Chestnut Street (The Women’s Club) exhibits the characteristic masonry of the Bergen County Dutch, while the façade and floor plan embody the influence of the English settlers of Essex County. This combination, extremely rare among the 219 stone houses in the area, highlights the use of transitional building features in a transitional geographical location. In 1695, John Treat acquired land adjacent to VanGiesen, and in 1698 Thomas Stagg purchased another adjacent lot. These transactions signified the beginning of land development in Nutley in which people of different nationalities could live and work together. Although it is not known when the first quarry was opened in the Nutley area, the existence of stone houses dating back to the early 1700’s gives credence that quarry operations had begun at that time. Located close to the Passaic River, which provided a mode of transportation for the stone, the quarries became the first major industry. Unfortunately, as the quarries were dug ever deeper, water seepage caused them to become uneconomical and they were abandoned in the early 1900’s. A recently discovered map (drawn in 1792) of property along the Third River in an area now known as Memorial Park I, shows the beginning g of a small industry to meet the growing need of local inhabitants. It pictures a dam and pond; a home, gristmill, sawmill and a log yard operated by John and Thomas Speer. Mills located along the Third River became the second major industry in the mid 1800’s Joseph Kingsland operated a paper mill near Kingsland Road that produced a high grade safety paper used by banks throughout the world. Henry Duncan built mills at several locations, the largest being the Essex Mills located near Chestnut Street. Here he built his own home and helped to establish the quaint village of Franklinville. It consisted of about 30 small homes, a bakery, boarding house for bachelor workers, and the Franklin Hotel, later called Military Hall. Today only one of the original circa1850 mill structures exists, which has been adapted for use as our town hall. Workers spent 12 hours per day, six days a week eking out a living. In 1884, the lowering of tariffs against imported woolens destroyed the mill’s major business and ended this industry in Nutley. In 1870, railroad service came to Nutley with three stations located within the town’s borders: Franklin Avenue station on High Street, Nutley station on Highfield Lane and Walnut Street station on Walnut Street. With the advent of the railroad to towns surrounding New York, came a need for a true suburban home for commuters. William Lambert, president of the Nutley Realty and a noted architect and author of a book entitled Suburban Architecture, met this need. He is credited with giving Nutley much of its unique character. Lambert’s style, beauty, originality and reasonable cost met this need as exemplified by the 500+ homes he built in sections of town known as Prospect Heights, Nutley Park and Nutley Heights. Other structures included St. Paul’s Congregational Church, Nutley Post Office (now Starbucks) and High Street railroad station (now demolished). As the mills and quarries were phased out as the town’s major industries, these homes enabled Franklin/Nutley to become a haven for New York commuters, and a new spirit of camaraderie was born. Another 19 th century land developer in Nutley was James Hay, who, in 1873, purchased the circa 1812 John Mason house located by Cotton Mill Pond, now known as the “Mudhole” in Memorial Park I. This house, which stands today, is of Federal design and is one of Nutley’s most architecturally significant buildings. It is now part of the Enclosure Historic District that was placed on the National Register of Historic Places in 1973. Mr. Hay was instrumental in enticing scores of artists, authors and magazine editors to make the Enclosure and its environs their home.. Among the list of notables who lived in Nutley were painters Frank Fowler, Frederic Dorr Steele, Frederick Dana Marsh and his wife, Alice Randall, Albert Sterner, Arthur Hoeber, Earl Stetson-Crawford and his wife, Brenetta and Ferdinand Lungren; authors Frank Stockton, Henry C. Brunner, and editors of such prominent magazines as Puck, Century, Judge and The Railroad Gazette. Even the famous sharp shooter Annie Oakley took up residence in 1892 in a house on Grant Avenue (since demolished). In 1894, she and Henry C. Butler, the editor of Puck magazine, with many other town residents, volunteered their services to produce the Nutley Amateur Circus on the grounds of the Eaton Stone Circus Headquarters on Kingsland Road to benefit the American Red Cross. Special trains arrived from New York bringing in people to witness the event. (The spirit shown by these people lives on today as shown by the benevolent work of today’s residents). Starting in the latter part of the 19 th century and continuing throughout the 20 th century, civic groups were organized to help enhance the quality of life for the residents of Franklin/Nutley. Some organizations were purely recreational and catered to the social elite, while others were conceived solely to solve social and economic problems of the day. Typical of the latter was the Yanticaw Improvement Association, organized in the spring of 1892. It strove to interest property owners and tenants in beautifying their residences, including such mundane concerns as the disposition of garbage and debris. Apparently the objectives were met, for the Association gave out yearly monetary awards for the best kept grounds in the town, and garbage dumping became regulated at sites like the large dump on John Street. Also, several old barrack structures on Washington Avenue near Grant Avenue, which housed quarry workers were in such deplorable condition that 200 citizens of Franklin attacked the buildings with disinfectant solutions in March 1893. They later raised enough money to purchase the structures and apply the kindling torch. Such was the character of our forefathers and their concern in maintaining a high standard of living. Together with the Nutley Civic Society, both organizations strongly opposed buggy racing on Washington Avenue, the nuisance created at the Masonic Hall by boys loafing around the corner of Franklin and High Streets, the number of saloon licenses issued, slot machines in candy stores and whiskey drops on sale to minors, to name just a few of the turn-of-the-century social concerns. Question: were they successful? Answer: do we still have these problems? The first of another type of organization in pre 1902 Nutley concerned the welfare of residents was the Granite Council No. 51, Order of United Friends that held its meetings in Rusby Hall, located on the second floor of Rusby’s grocery store. Founded in 1882, it was the only lodge at the time for mutual benevolent purposes. Today we have numerous groups that car4ry on the work started over 100 years ago. Social organizations started with the Franklin Archery Club organized in June 1878. With the advent of tennis, the club evolved into lawn tennis and eventually became the Nutley Field Club located between the railroad tracks and what is now Tennis Place. The clubhouse became the focal place for the social events among the rich and famous of the day. Among the presidents of the Nutley Field Club was John Bouvier, grandfather of Jacqueline Bouvier Kennedy, who commuted to New York via the Erie train and lived on Nutley Avenue in the estate named Woodcroft. Other civic groups also dedicated to improving life in Franklin/Nutley have disappeared over the years, including the Nutley Association, Nutley Civic & Improvement Association, First Ward Association, North End Association, Men’s Civic Association and the Fortnightly Club, whose altered clubhouse still stands on Franklin Avenue. As would be expected of a town with such a spirit of volunteerism, in 1894 an all volunteer fire department was organized. Named the Yantacaw Hose and Truck Co., it was housed in the west end of our present town hall. In 1895 the Avondale Company was formed and in 1898 its headquarters was built on Park Avenue in a building still standing today. In later years, the Nutley Sun wrote: “Manned by men who not only had a sense of civic duty, but also the adventurous spirits of firefighters, the companies have been centers of neighborhood activities since the beginning of the town’s history.” An example of such neighborliness has been demonstrated over the years by the long hours firemen spend repairing broken toys for several months before Christmas. Remembering the events of 9 -11-01, we salute and thank all of our police and firefighters for the humanitarian efforts shown each and every day. With the end of the 19th century and the start of the 20th, came a time of change like to other in the history of man. No millennium change had caused as much stress and apprehension. Events had occurred and were occurring that would affect man socially and environmentally in profound ways. In America, the 1890 census called the frontier closed: all of the lands explored claimed and settled. The death of Queen Victoria in 1901 was not only the end of a monarch but also an end to the era named for her. By 1911 the earth’s north and south poles would be reached. The end of the 19th century closed the first great chapter in American history. Just six months before the township of Franklin, NJ changed its name to Nutley the world was shocked by the assassination of President William McKinley. He was succeeded by Teddy Roosevelt, a charismatic man with boundless energy and progressive politics. In the years prior to 1902, Nutley was a blue collar community whose major industries were stone quarries, woolen mills and paper manufacturing. With the advent of the railroad in the late 1860’s, the town became a town of commuters. The caliber of its residents created the need for independence from the more provincial town of Belleville. The division established the Township of Franklin in 1874 and the geographical boundaries we have today. Only 14% of homes in the U.S. had a bathtub. Such were the times when on March 5, 1902, the town council adopted a resolution to officially re-name our town from Franklin to Nutley. By 1902, we had a new name and a population growth from 1500 in 1874 (our first year as a separate town, Franklin) to 3,600 in 1902. This trend continued during the ensuing years. This fact, along with the passing of the Walsh Act in 1911, which regulated and provided for the government of towns, specifically the commission form, kept our town fathers busy. The next ten years would be spent building streets and sidewalks, extending the water mains and metering the water use, collecting taxes and water bills, licensing saloons and dogs and peddlers. In addition to changing our entire form of local government in 1912, other services and organizations were established. Firehouses, churches and new schools would also be built. It was also during this time through the persistent efforts of two local men, John F. Clark and Dr. Thomas E. Satterthwaite, that the town commissioners stopped the private development of properties along the Third River. This made way for the Parks system through the center of town that we enjoy today. The 1910 census reported Nutley’s population at 6009; almost double the amount from ten years prior. With this growth the next decade would see the construction of three additional new schools, the second addition to the Park School and the Free Public Library. Civic involvement would also continue. With the groundwork laid out the previous decade, the development of the park system would take place along the third river. In 1913, the cornerstone of the Public School Library, later named the Free Public Library was laid. 1913 also brought the lobby of town women to sit on the School Board and discussions of the women’s suffrage movement. In a special section of the Nutley Sun (1913) the attributes of life in Nutley are detailed. Noted were: it is within the heart of things; transportation facilities are splendid; life of paradise outside of metropolis; population 7,000; occupies larger area than most towns with as many people; has miles and miles of splendidly laid sidewalks of concrete construction; miles and miles of cement curbing and gutters; macadamized roadways; most roadways are beautifully shaded with elm and chestnut trees; the lawns are well kept; there is an abundance of open fields for children to play; all schools have spacious grounds which present a very neat appearance throughout the year and extensive parks are being built by the Essex County Parks Commission. Some would call this period the golden age of suburban life: Dad at work and Mom at home with the children. Though we had the Cold War, the focus was on family life. The baby boom was still on, television was well entrenched, the interstate highway system enable greater mobility, malls were just emerging and we still had Ma Bell. Halfway through Nutley’s first 100 years, the landscape had changed dramatically. Development leveled off substantially. 3.5 square miles were almost completely developed. With no more farms and the street system complete, we were left with the responsibility of maintenance. However, community spirit thrived. Beginning with the assassination of President Kennedy in 1963, lie in America would dramatically change during the next decade. The Vietnam War and the Civil Rights Movement would have a profound impact on America’s psyche. Social unrest would reshape the country’s identity. However, life in Nutley would again remain relatively stable. With a population of almost 32,000 in 1970 the township would see growth of the High School and continued improvements of the park system. Recreation programs in town would also grow substantially. By 1973, the post-war economic boom was over and America was facing uncertainty. The Vietnam War would end with the Communists in control. In Iran, the US embassy would be overthrown and Americans taken hostage. At home, high unemployment, high inflation, gas shortages at the hands of foreign powers and the Watergate scandal would cause an unprecedented identity crisis for America. The phrase, “The Me Generation”, would come to describe the population. Thoushwe would celebrate the country’s bicentennial in 1976, faith in government was shaken. Reaganomics would begin to stimulate the economy again but the accelerated pace of change in the world would force a redefining of social, political and economic approaches. In Nutley, what were becoming identifiable characteristics, stability and progress, though certainly slowed, continued. There were expansions of the Parks and Recreation building, the Public Library and the development of the 22 acre Monsignor Owens/Glotzbach Park. Civic pride and involvement also continued. During this time in America we would see the construction of the Vietnam Memorial in Washington D.C. Finally we would have reconciliation, putting to rest America’s struggle with the dividing experience that the war produced. The Cold War would end in 1985 and the Berlin Wall demolished in 1989, changing the world landscape. New words would come into our language: Yuppies, Aids and Reaganomics. The resurgent US space program and the American people would suffer the Challenger Shuttle disaster. In Nutley, civic pride continued. The first designation as Tree City took place. A new housing project would be built for the senior population and one of the largest volunteer projects in township history would give our children a fun place to play. As the township closed the first 100 years we saw the explosion of the Internet and dot.com companies, Y2K concerns and, of course, 9/11, which will be remembered as one of the most significant dates in our generation’s and our country’s history. The tragic events of 9/11 provided an awakening to the common bond we individuals share as Americans, this country’s freedom. We were all attacked (many more directly than others), not as individuals but as a people. Nutley lost three of its citizens on that fateful day. But like so many other Americans, Nutley responded heroically. All of our police, firemen and Rescue Squad staff were mobilized immediately in the hours following the attacks in New York. Ordinary citizens gave their time, money and efforts in any way possible. In this time period, the Township will see the last large land development take place. ITT Avionics moved out of its 93 acre site on Washington Avenue, making way for the Cambridge Heights development. Across the border, Clifton saw a huge retail development and our own end of Franklin Avenue was revitalized with restaurants and coffee shops. 2002 noted the 100 th anniversary of the Township of Nutley commemorated by a year’s worth of historic events planned by the Centennial Celebration Committee formed under the direction of Mayor Peter Scarpelli and Chaired by Commissioner Joanne Cocchiola. As you prepare to sell your home, we appreciate the opportunity to assist you in one of life’s most important events. Most real estate companies offer one level of service. We believe you should expect more. Our exclusive Full Service Marketing System represents our ongoing reliability and service, and our commitment is to meet and exceed your expectations. Below are outlined some of the key components of the home selling process. You’re ready to sell your home! Your first step is to have your Coldwell Banker Residential Brokerage sales associate assist you with practical ideas on how to successfully prepare your house for sale. If you are not already working with a Coldwell Banker Residential sales associate, you can select one by using our Agent/Office Search. Be assured, by choosing a Coldwell Banker Residential Brokerage Sales Associate you will find a professionally trained, experienced agent to offer you agency representation options and full service. In addition, you can read a copy of our Home Selling Checklist for more information about preparing your home for sale. This is also a good time to gather all your paperwork that you will need to expedite the closing once you have an acceptable offer. Your Sales Associate can provide you with a list of these items. In addition, you may wish to begin the process of selecting a local Real Estate attorney to represent you once you have an accepted offer on your home. If needed, your Sales Associate can provide you with a list of local attorneys that specialize in real estate. What should I list my home for? There are many factors that affect the list price of a home: location, condition, amenities, supply and demand, and local and global market conditions. Your Sales Associate will assist you by providing a thorough market analysis of your home so you will be able to come up with a realistic, competitive pricing strategy on your home. What is the Property Condition Disclosure Form? Most sellers of single- and multi-family residential homes are required to provide potential buyers with a completed and signed property condition disclosure form. Failure to provide this form will result in a monetary credit to the buyer at closing. Please consult with your Coldwell Banker Residential Brokerage Sales Associate for complete details. During the market analysis presentation your Sales Associate will explain every aspect of the selling process to you. Once you list with Coldwell Banker Residential Brokerage, your Sales Associate will begin managing the sale of your home with implementation of our Full Service Home Marketing System (click on Full Service Real Estate link on this Web site for more information [indicate location of this link?]). The relationship between you and your Sales Associate is the key to the successful sale of your home. Your home and your needs are unique; therefore your Sales Associate won’t use a pre-designed plan to sell your property. Your Sales Associate will listen to your goals, address your concerns, and use his or her knowledge and experience to create a custom plan that will effectively result in a sale. Your Coldwell Banker Residential Brokerage Sales Associate will also present you with our Seller Services Guarantee, which demonstrates that we are committed to performance! A Buyer is Ready to Present an Offer! When an offer is presented, your Sales Associate will advise and help you to obtain the best possible price and terms. Understanding the standard forms and the many transactional issues is key to negotiating the best terms to meet your individual needs. Making sure buyers are pre-qualified is of utmost importance in negotiating a successful sale. Your Sales Associate will promote your interests and assist in developing a clear and binding transaction. Again, because the offer procedure and paperwork varies within the Tri-State area, please consult with your Coldwell Banker Residential Brokerage Sales Associate who will review the specific procedures followed in your area. Contingencies, such as mortgage commitment, building inspections and pest inspections to include where appropriate (but not limited to): termite, pest, radon, water potability, well, lead, septic, oil tank. If the offer is not acceptable to you, further negotiations may be necessary to reach terms agreeable to both you and the buyer. Because counter-offers are common (any change in the offer can be considered a counter-offer) it is important that you remain in close contact with your Sales Associate during the negotiation process so that proposed changes can be reviewed and responded to quickly. You have an Acceptable Offer! Once again, because the Contract writing procedure, down payments required, building inspection contingency dates, etc…varies within the Tri-State region, please consult with your Sales Associate so that they can inform you of the immediate action steps. Timing is critical at this stage! Throughout the transaction, you will need to closely monitor the progress of all contingencies to make certain that all deadlines are met. On the day of closing, the buyer will have a “final walkthrough” to make certain that the house is left in “broom clean” condition and has been thoroughly vacated. The closing is a formal process where all parties sign all of the necessary paperwork needed to complete the transaction. Title to the property is transferred from you to the buyer. The buyer receives the house-keys and you receive payment for the house! From the amount credited to you, the title representative subtracts the funds to pay off the existing mortgage and other transaction costs. Deeds, loan papers, and other documents are prepared, signed and ultimately filed with local property record office. Our exclusive Concierge program was developed to assist you with the services you need before, during, and after your move. Please visit the Concierge Services section within this web site for further details. *PLEASE NOTE: The home selling process varies by state and state region. Ask your Coldwell Banker Residential Brokerage Sales Associate about any details specific to your area when selling your home.